Chiang Mai, the big city in northern Thailand, is surrounded by lush mountains and dotted with the ancient temples. It is a perfect destination for your vacation due to the various travel options such as the shopping malls, natural attractions, or chilling cafés. It is the best hub to explore the northern tradition and culture of Thailand. For those who are planning to visit this amazing city, check this out, we proudly represent a list of 8 things to do in Chiang Mai that you shouldn’t miss! Flying through the fascinating jungle like an eagle. Besides the adventure, each of them also includes a Thai food in each option as well! You can choose either lunch or dinner for Flying Squirrels. The Eagle Track serves the Thai buffet cuisine. The Flight of the Gibbon provides lunch for 1 Day trip and both of lunch and dinner for an overnight trip. Visit a paradise for tea lovers. Chiang Mai is one of the famous tea plantation cities in the world. The northern part of Thailand is a perfect location to grow the fresh tea. If you are looking to taste the Thai local fresh tea, Araksa Tea Garden could be a heaven for you! You will be impressed by not only the tasty and aromatic tea but also the stunning plantation view. The lush tea plants are lined up on the hillside providing a wonderful scene for every visitor. You can pick the tea leaves and make a drink by yourself regarding the explanation by the host. The Araksa Tea Garden is best for those who are seeking for an authentic tea experience. Be a part of big animal guardians. Elephants are the national symbol of Thailand. They are not only the wild animals but also a significant part of Thailand history. Thai people honor the elephant’s incredible strength, durability, and longevity. The elephant sanctuary allows you to touch, feed, photograph, and bathe the happy elephants in a safe and sustainable environment. Don’t worry that you will be interrupting these heartwarming animals from their nature because the Chiang Mai Elephant Jungle Sanctuary unquestionably provides them home and care they deserve. If you are looking for a destination where you can get close to the elephants and sustain the animal welfare at the same time, you should absolutely check out the Elephant Jungle Sanctuary. Chiang Mai’s Night Safari is the world’s third nocturnal zoo, and is also a government nature theme park. It cares for 1,400 animals of 134 different species, many of which are rare, or on the brink of extinction. In this Night Safari you will be able to see the animals roaming in their natural habitat, and will also be given a chance to feed some of the animals you see. You’ll be amazed at how tall some animals are when they stand on their hind legs! You’ll be able to see a variety of different species from tigers, bears, leopards, lions and many more! Don’t be scared of the predators roaming the Safari, because you will be viewing the animals safely inside a secure tram. You also get to watch Tiger Shows and Night Predator shows when you visit, or choose to walk along the Jaguar Trail. This experience is sure to be a memorable one, so don’t forget to check out the link below for more information! Every Sunday from 4:00PM to midnight, Tha Pae Walking Street comes to life. It begins at the Tha Pae Gate at one end and stretches a whopping 1km along Ratchadamnoen Road, through the heart of the Old City. The roads are also blocked so no vehicles can enter and disturb people roaming freely around the market. At the Sunday Market you will find both Thai locals and tourists having a wonderful time looking for bargains. The Sunday Market is a showcase of the arts and craftsmanship of the Northern Thai people. Many of the stall vendors make and sell their own products and the quality of craftsmanship is superb. The handicraft displayed are perfect as gifts or beautiful and useful items to decorate your home. There are also restaurants, coffee shops and bars in the market area where you can opt out of the crowd and sit and enjoy a meal or a drink and take a break from the busy street. The Sunday Market really comes alive after dark when all the street entertainers, musicians, puppeteers, Thai dancers, and bands start to perform. Tha Pae Sunday Market also hosts Muay Thai boxing matches for all to enjoy, so don’t miss your chance to watch a spectacular show while you are at the market! Explore the ancient temples in Town. Chiang Mai is a city of rich and unique history. One of the symbols that shows how it is distinct from others is the ancient temples. The neat design that keeps the long history in architectures strikes the visitors from all over the world. Doi Inthanon and Doi Suthep are must-visit mountains to explore the northern Thai scenery. Both of them are located in Chiang Mai, but each has a different fascination. Doi Inthanon is famous for a sea of clouds and the temple made by the Majesty King & Queen of Thailand Kingdom, while Doi Suthep is well known for a beautiful Lanna traditional monastery. In order to reach them out, Doi Suthep will take about an hour while Doi Inthanon takes 2 hours and a half from Chiang Mai city. Sometimes, taking public transportation may be hard for foreigner tourists due to a language barrier. We highly recommend you to book packages on Trazy. Our services provide an English speaking tour guide and safe transportation throughout your memorable trip. Soothing your body and soul with an authentic Lanna massage. Thailand is notable for the world-class services, and that is applied to Fah Lanna Spa as well. If you are looking for the exceptional service and high-quality massage, you are in the right place! They have remarkable customer service which is the first priority of Fah Lanna Spa staff. Treating yourself at this award-winning spa in Chiang Mai is a perfect idea to relax after long hours of trekking and tours and complete a memorable trip. The Fah Lanna Spa offers several options from Traditional Thai massages to Oil massage therapies and the spa package as well! Don’t forget to book in advance, the spa may be fully booked. Find your favorite place in the trendiest part of Chiang Mai. 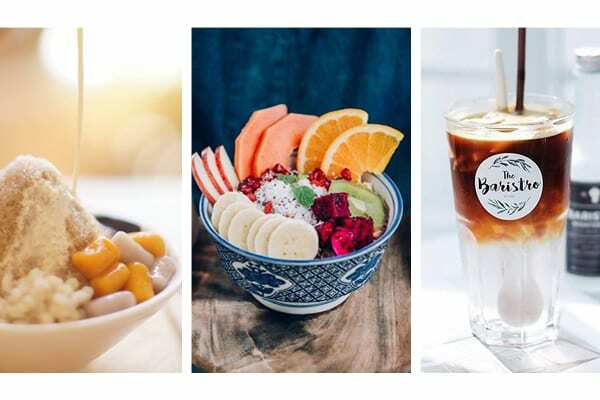 If you are a café goer, you will definitely fall in love with Nimman Road or Nimmanhaemin Road. Nimman is a well-known area for fashionable cafés and bistros in various styles. It is the trendiest part of Chiang Mai. In the daytime, we highly recommend you to find your favorite café, take a sip of your drink, and enjoy the morning breeze of the local area. This area has so many cafes to try, and the top 3 cafés recommended by us are The Barisotel, Rustic & Blue, and Brown Café ブラウン. The Barisotel is a new and unique branch of The Baristro in a concept of café and hotel. The minimal ornament and the tasty menu will never let you disappointed. The signature menu is the Golden Thread Roti. Rustic & Blue is famous for the healthy and yummy dishes. The ambiance completely represents its concept of a farm shop. 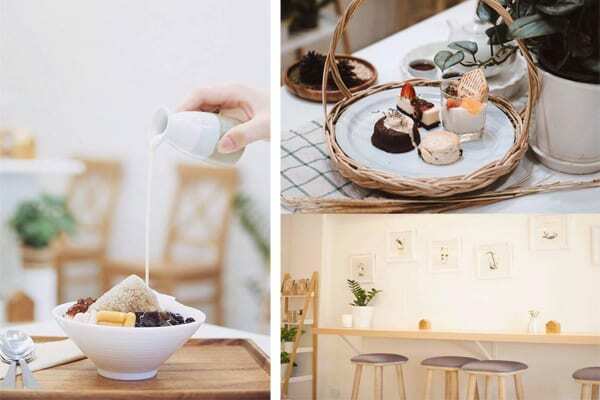 Brown Café ブラウン is the perfect combination of Japanese decoration style and Taiwanese desserts. The signature menu is ‘Brown’ the Taiwanese snowflake dessert. Check it out by yourself and see which place is your most favorite! Besides from Cafés and Bistros, you can also enjoy shopping in various complex community malls. 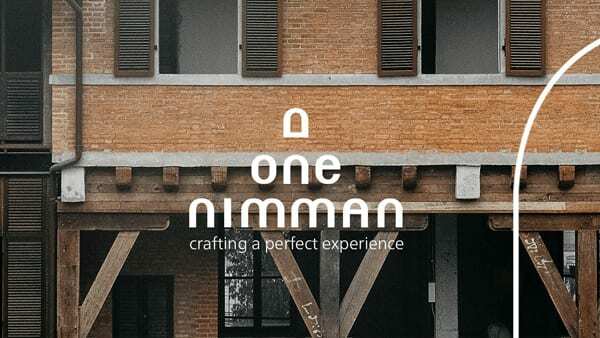 One of the famous shopping malls is One Nimman. Baan Kang Wat and Lan Sieow Freeative Art Space are the other shopping malls nearby Nimman area. Enjoy eating Chiang Mai’s mouth-watering street food. Last but not least, food is always the highlight of traveling. If you are a food explorer, you shouldn’t miss out on the Thai local northern food in Chiang Mai! Chiang Mai local food is distinct from other parts in Thailand. The northern dish is usually less spicy than the southern or eastern cuisines. This is the influence of Burmese and Chinese food in the past. The top 3 must-try local dishes are Khao Soi (Egg Noodle Curry), Khan Toke (Traditional Northern-style cuisine), and Sai Oua (Grilled Herb Sausage). 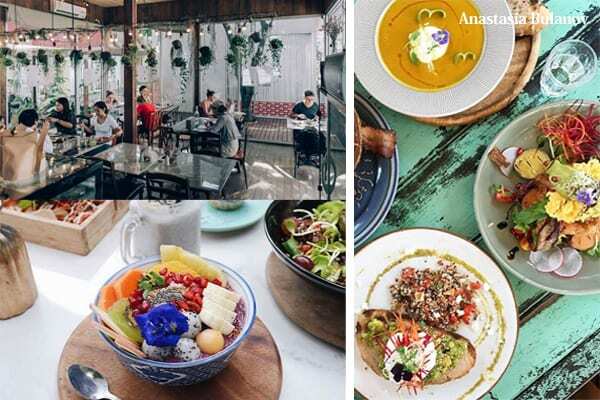 There are several ways to try local food in Chiang Mai such as the weekend street food (Wua Lai and Tha Pae street food), Daily eaterie street (Nimman road), Dinner Cruises, Khantoke Dinner, and Cooking Classes. Thai cooking class is a rite of passage for every traveler visiting Chiang Mai. If you also want to join the Northern Thai cuisine class, please experience it via Trazy. We are offerings 2 classes at the discount! → Trazy offers 2 types of classes at discount. Experience another northern fascinating province of Thailand. Chiang Mai is the big shuffle transportation to other northern provinces of Thailand. Chiang Rai is one of the best choices to go because it is not too far (just 4 hours by bus) and you can experience another remarkable Thai northern fascination. Chiang Rai has many gorgeous travel attractions. 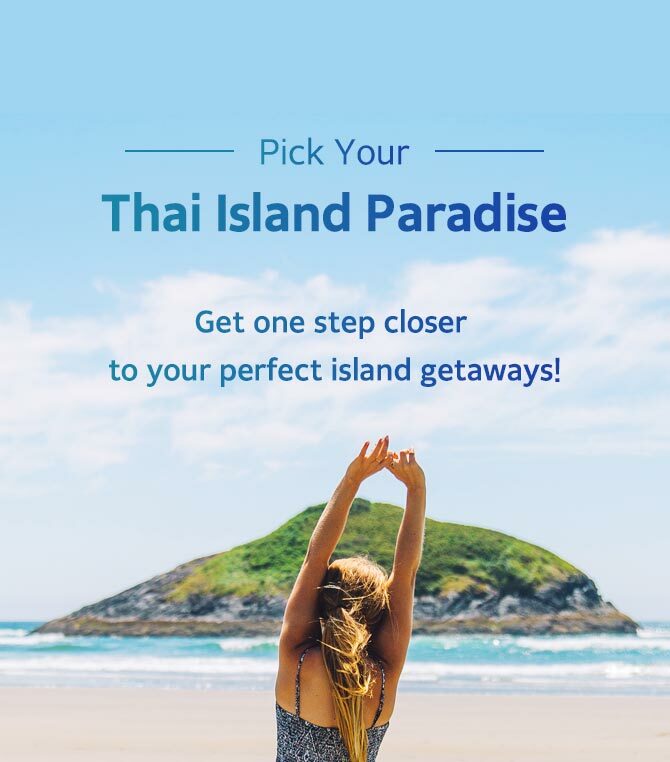 We highly recommend you to go Wat Rong Khun, Baan Dam, Blue Temple, and Golden Triangle. Wat Rong Khun or White temple is designed by a very famous artist of Thailand, Dr. Chalermchai Kositpipat. The architecture is remarkable for the “heaven gate” belonging to the Buddhism believing. The highlight spot of this place is the bridge of “the cycle of rebirth” which is also the symbol of the temple. Baan Dan or Blackhouse is the collection of more than 40 building of houses in black color and various shapes. This place is a museum, art studio and traditional house at the same time. The Blue Temple (Wat Rong Sear Tean) is a blue-colored temple, which is beautiful both inside and outside. Here, you will feel mesmerized by amazingly detailed structures and the general vibes coming from the use of blue color. Visiting Chiang Rai for these 3 majestic temples is one of the most popular day tours from Chiang Mai as you can see the “White Temple”, “Black House”, and “Blue Temple” in one day. Golden triangle is the joint points of 3 neighbor counties: Thailand, Myanmar, and Laos. You can see the river which flows through and trisects the area into 3 counties. It has been one of the most extensive opium-producing areas of Asia.